I haven’t made these for quite some time, but this week I had the good fortune to have dinner with an engaging Coker student I met a couple of years ago. She said she might stop by today, and she asked if I’d make raspberry-filled cookies. They are not fancy — just plain sugar cookies (I use the recipe I have from my Aunt Marian). These are baked with a scant spoonful of raspberry jam sandwiched inside. 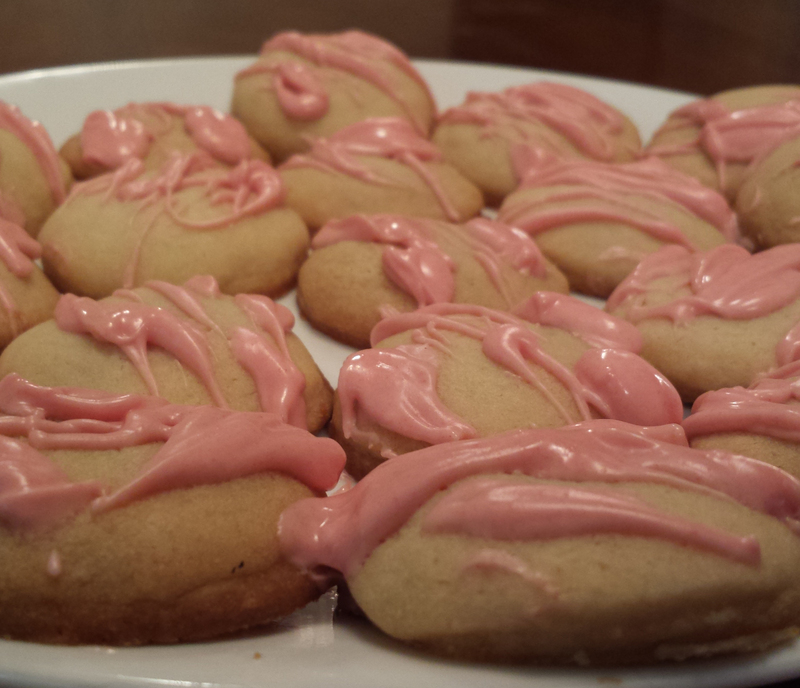 To make them a little bit special, I’ve drizzled (blopped) them with white chocolate flavored with some raspberry extract and tinted pink to be pretty.